Used as a backup weapon on the battlefield. Sometimes carried in court when swords were forbidden. 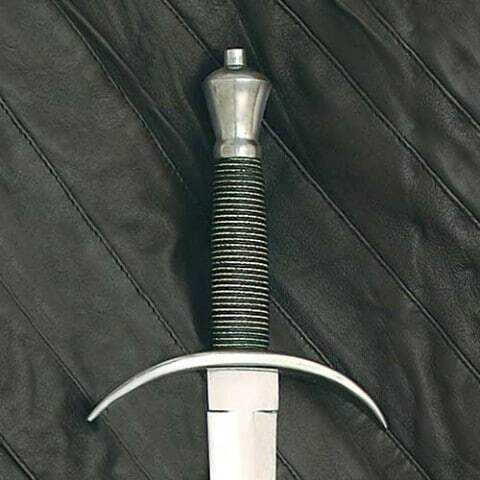 Foreruuner of many long parrying daggers of later years. Long reach makes it a very effective weapon. Comes with matching leather covered scabbard.